TigerLily (TL)is a reporter for QuickThrottle Magazine. Her “activism” began when she undertook a special reporting project to challenge Nevada’s motorcycle helmet law. TL's activism morphed into all things liberty-related, and she has showcased much of her actvism on her Youtube Channel. TigerLily’s views are opinionated and often controversial. TigerLily respects opposing views and can be swayed when presented with sound facts. 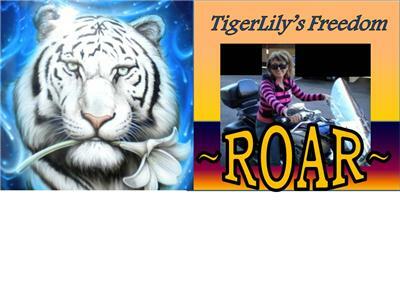 Please tune in and be a part of TigerLily’s Freedom Roar.